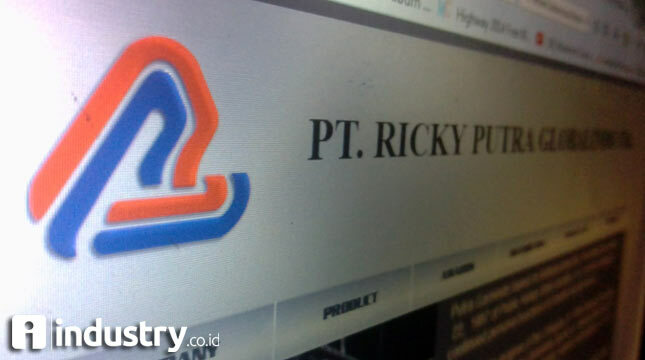 INDUSTRY.co.id - Jakarta - PT Ricky Putra Globalindo Tbk (RICY) ensures business growth will not be aggressive until the end of the year. Throughout the year 2017, RICY targets performance growth of up to 10%. "We are targeting performance growth for this year of approximately 5% to 10% .The business has been tried, distribution is made fast, the business is encouraged to quickly sell the goods, but the result is only that much," said Director of PT Ricky Putra Globalindo Tbk, Tirta Heru Citta to the press in Jakarta, Wednesday (08/23/2017). Ricky Putra's performance projection until the end of the year also considered the performance of the first half of 2017. In that period, they posted net sales grew 34.69% to Rp741.59 billion. However, the current year earnings attributable to the owner of the parent entity alias net profit only grew 5.83% to Rp6, 54 billion. The low net profit is due to sales are still running stable. "The company's performance is somewhat assisted by a stable export market, with 35 percent of foreign market contribution, at least able to gain profit even slightly, while quantity is maintained and we export 99 percent to Japan," said Tirta. Tirta revealed, until the end of the year later it will not be too high target set. Achievement in the first half of this year has reflected the current state of the company. "Approximately growth is still in the numbers of 5% to 10%, which is important not slip," he concluded.